The height from platform load bearing surface to the ground is 1050mm. 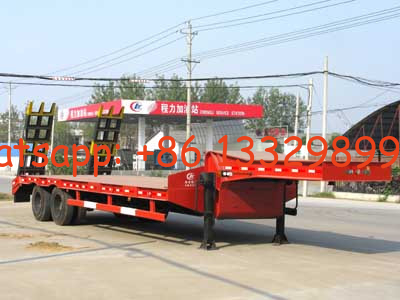 the semi-trailer is just transport something detachable, choosing to install rear ladder, non rear ladder with the height of 1650mm. protective material: Q235 carbon steel, connecting way: left and right sides protective use welding. the height from the rear protective to ground is 530mm.